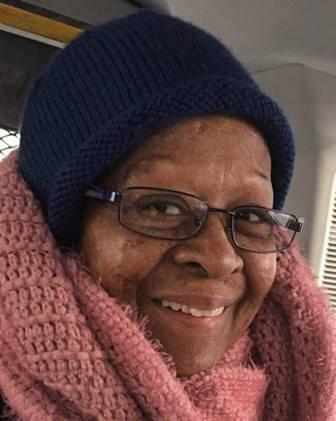 Lucy C. Garcia, 75, of Muhlenberg Township, died peacefully, Thursday, March 28, 2019, in her home surrounded by her loving family. She was the companion of Eugene W. Mertz. Born in Punta Santiago, Humacao, Puerto Rico, Lucy was a daughter of the late Modesto and Carman B. (Velasquez) Cruz. Lucy was a member of Kingdom Hall Jehovah's Witnesses, Spanish Congregation, Laureldale. Ms Garcia was employed as a bookkeeper over 29 years for the Carpenters Union, New York City, NY, until her retirement. In addition to her companion, Eugene; Daughters: Evelyn Garcia, Temple; Carman B Garcia, Bethlehem; son: Carlos F. Garcia, Bethlehem. Other survivors include sisters: Nelly Ruiz, MA; Frances Torres, NY; Marilynn Torres, GA; Sonia E. Ruiz, FL and Margie Rodriguez, Reading. Brothers: Juan R. Torres, NY; and Ricardo Torres, Reading. There are eight grandchildren and fourteen great grandchildren. At Lucy's request there will be no services. Ludwick Funeral Homes, Inc., Kutztown, is in charge of arrangements.